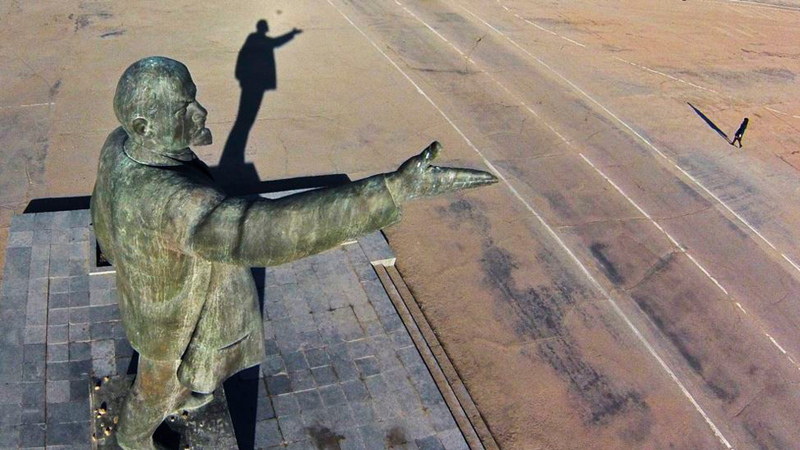 How long is Lenin’s shadow? A lot of ink will be spilled, seminars convened, papers published, and declarations issued on the question in this, the centenary year of the revolution he led. Perhaps there may even be a few arguments in pubs too; it would be good to think so. It is a matter unsusceptible to consensus. Most people anxious to join in the debate on the experience of the October Revolution, the course of the Soviet state it created, and the enduring impact, or otherwise, of Leninism propound opinions they have held for many years. While there has been some new debate on the subject in academia, this has barely informed contemporary working class politics in a way it might have done 40 or 50 years ago. 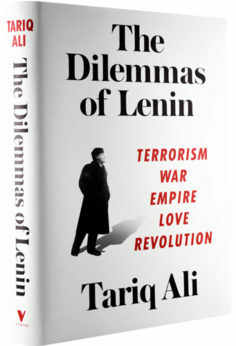 Tariq Ali has, in a sense, dedicated his life to the question. His Leninism, although he would not use the term now, was shaped by the Fourth International tradition of Leon Trotsky. While it is, as far as I know, a long time since he was a militant in any party or proto-party, those perspectives broadly inform his handling of Lenin and his legacy. Certainly, Ali has remained one of the foremost campaigners, in Britain and internationally, against imperialism, its wars, and its other depredations. He has always remained on Lenin’s side of the barricades, when many of his contemporaries from the 1968 far-left have repositioned themselves elsewhere. His take in The Dilemmas of Lenin is therefore important. It is a partisan approach, not that of the desiccated professorial obituary writers of communism who congest the arteries of political debate. Dilemmas is not a biography, although it sketches the main lines of Lenin’s life capably, nor is it an exposition of his ideas. Naturally, these are outlined in a fashion that the uninitiated reader could readily grasp, albeit with gaps and judgments that reflect Ali’s tradition which is not, of course, the only one extant among Lenin’s followers. I would have appreciated more on Lenin’s post-1914 turn, which bequeathed us the theories on imperialism, democracy, and the need for a rupture with reformism which together encapsulated a new theory of world revolution. Instead, the book amounts to a contextualization of Lenin, setting his work against the background of the politics of his time and his ideological antecedents. The chapter on pre-Bolshevik revolutionary politics, essentially populism and anarchism, in Russia is essential and too often underexplored, perhaps because this was an influence which Lenin himself was reluctant to fully acknowledge. After the revolution, he told the Communist Party that they stood on the shoulders of the Paris Commune and the German SPD, or its better traditions at least. Evidently, he also stood on the ground of the Russian revolutionary past as well. Ali retrieves this well, and covers with broad strokes the whole history of the international workers’ movement in Lenin’s lifetime and the impact this had on the subject’s development. His passages on the early debates on military strategy in the Red Army are also stimulating in drawing out the connections between the arguments between Trotsky, Frunze, and others and the revolutionary politics of the time. However, the attention given to Tukachevsky, later a Marshal and later still executed on Stalin’s initiative, seems excessive and, in the context of a book about Lenin, out of place. A further service is rendered by an extensive section dealing with Lenin’s views on what was called the “woman question,” a now archaic formulation, entwined with the story of Lenin’s relations with his reputed lover Inessa Armand. It is uncertain whether the relevance of anything Lenin had to say on this matter has survived a century of successive waves of feminist thinking, but Ali is surely right to present the case. It will be no surprise that on the controversies of Lenin’s last years, and the connections between Lenin’s thinking and the development of the Soviet Union under Stalin and subsequently, Ali maintains fealty to the Trotskyist perspective he has held all his life. While it would be nonsensical to expect a renunciation of these views, a full survey of Lenin’s “dilemmas” would have to consider the argument that the Soviet state was at an impasse well before Lenin ceased political activity due, above all, to the failure of the socialist revolution to spread outside the Russian empire, and that several different ways of addressing the problem were canvassed, any of which could claim some inheritance from Lenin’s thought. There was no one right way to resolve the dilemmas Lenin left behind. Perhaps it is past time that the competing camps of “Leninists” tried to effect something like a reconciliation on this matter. It would be unwise to anticipate this, however. Too many cadre have invested their lives in the argument, without noticing that the world has moved on. So what is left? Leninism was the Marxism of imperialist wars and proletarian revolutions. The former are still with us, lurid and bloody. The latter are a far more problematic prospect, certainly in Europe, as Ali acknowledges in an aside. If there is a turn on that front, an indicator may be when the sort of issues covered in this stimulating book are once again the subject of debate and discussion among the labor movements of Europe as well in colleges. Readers will not, for the most part, read this book uncritically. But they should certainly read it. 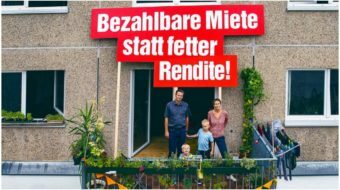 This review originally appeared in Morning Star. 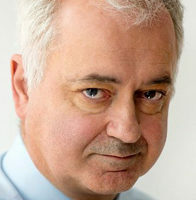 Andrew Murray is a British campaigner and journalist who was Chair of the Stop the War Coalition. Murray has been a senior official for several trade unions over the decades and he is the author of several books. He contributes to Morning Star, the social daily in the U.K., and to The Guardian.